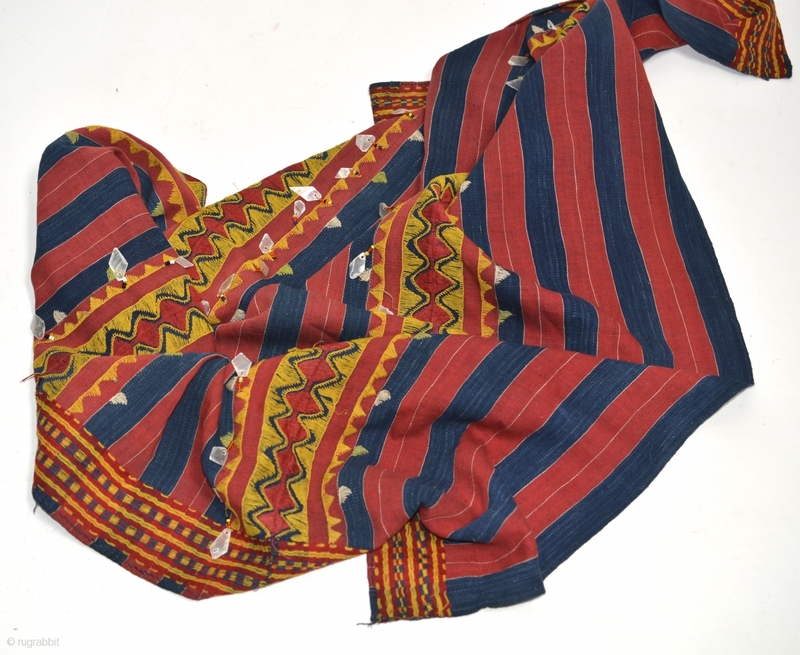 Philippines Kalinga woman's cotton wrap-around skirt with beadwork and mother of pearl fragments, natural dyes, Apayo Province and parts of Abra Province, Northern Luzon, early/mid 20th century. 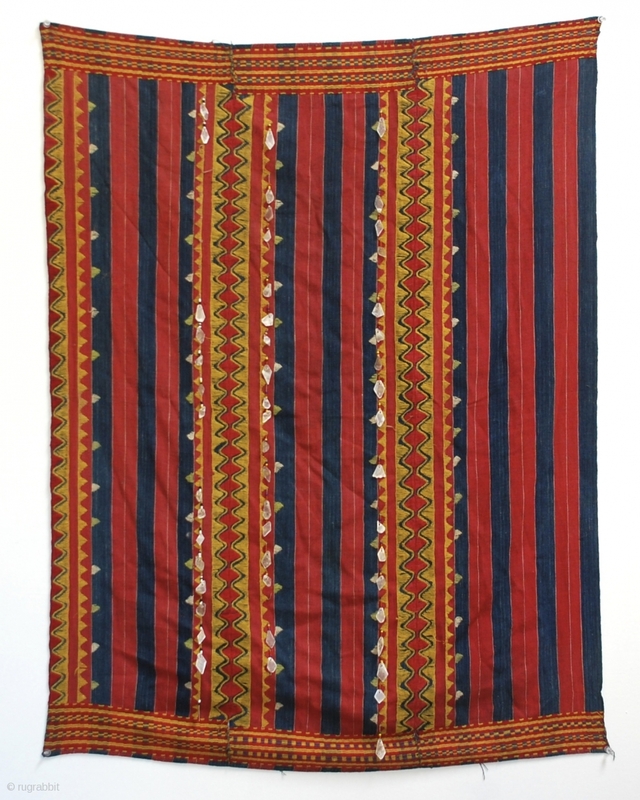 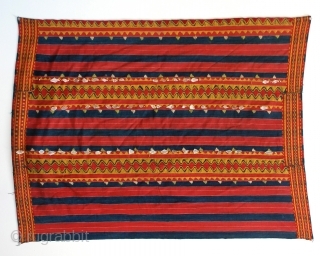 The stripes of Kalinga textiles range from plain to intricate floating warps, "eye" designs and beautiful colorful twills. 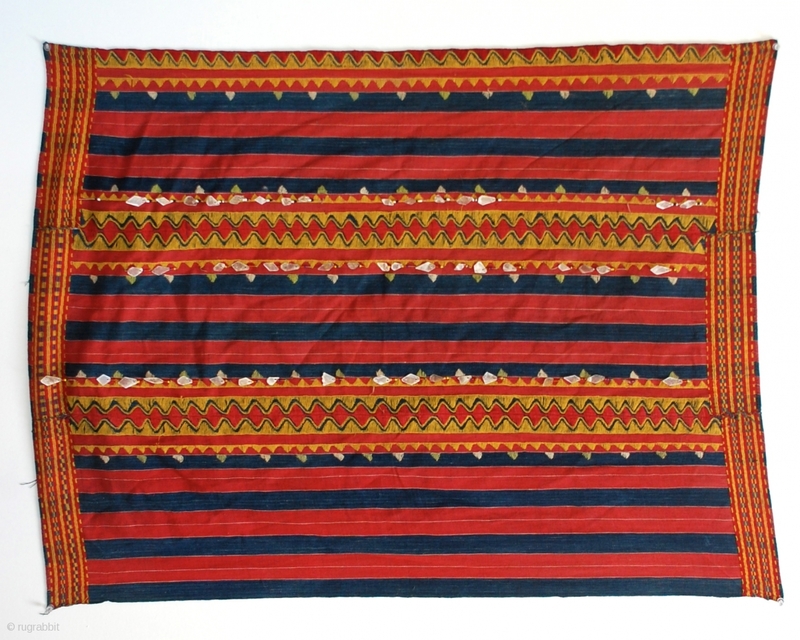 Although the designs are often symbolic, they are generally abstract and geometric in nature.